Well, a week's flown past and the weather has not been great but I managed to find a little sun whilst I made this weeks recipe to cook on the BigGreenEgg. I have been ask by a few people why I think this braai can be used all year round, the main reason is because it fires up so quickly. So I've also made a short video 6 mins long on how easily and quickly this Braai lights and cooked these burgers. I have used the remainder of last weeks left over pepperoni that I used to make the pizza but you can add a little chilli to get the same effect. 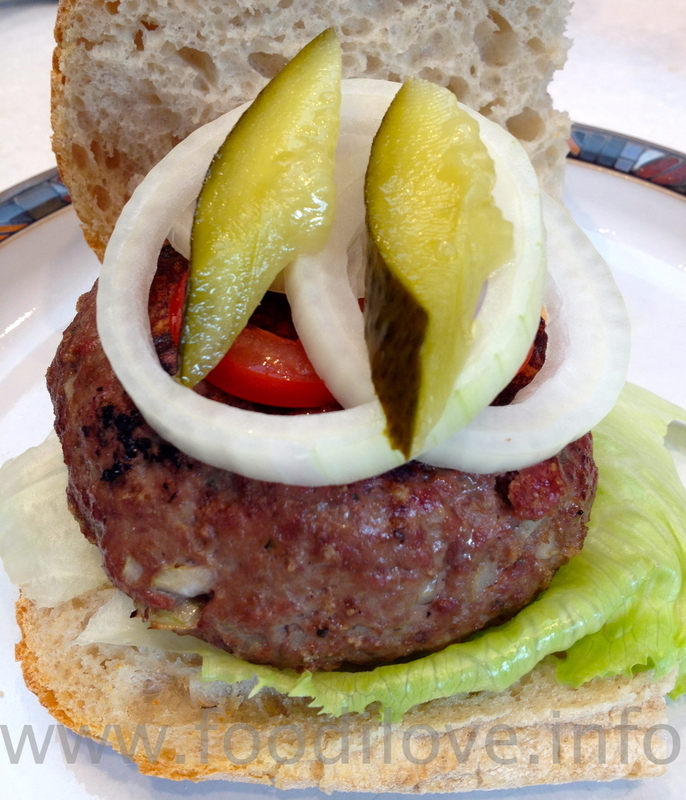 Or just leave it out altogether if you don't like a spicy hot burger, its up to you. This is a very quick and easy meal, just put the mince into a large bowl, throw in all the onion, pepperoni, bread crumbs, salt, pepper Worcester sauce and egg. The egg and bread crumbs are there just to bind the burgers together, this helps when you come to cook then and they will not fall apart. Mix it all together for a few moments and then take a handful and push it together into a firm ball. These are not going to be your paper thin burgers but a good looking 1/2 pounder as they used to say in the old days. Once you have applied a good amount of pressure so that its in a nice ball just flatten off the top and bottom, making that traditional pattie. You will now need to place in the fridge for about 30 minutes to an hour to help it all stick together, take out for 10 mins before cooking. Cook for 3 minutes on each side at 485 °C (905 °F) depending on how you like it (this is for medium rare) on a hot braai, remember to let them rest for 3-5 minutes once cooked. This lets the meat relax and the juices will stay in the burger until you bite into it. Please feel free to leave your thoughts below as I really would like this to be a place you want to come to each week. Feel free to suggest something you would like to see cooked on the braai, cheers Larry.